1923 LECTIONS CARDS AT DAVE'S!! This 10 card set was issued in 1923 at the Albany worlds fair, or maybe it was a state fair, it was in New York and was in conjunction with election campaigns that were taking place. 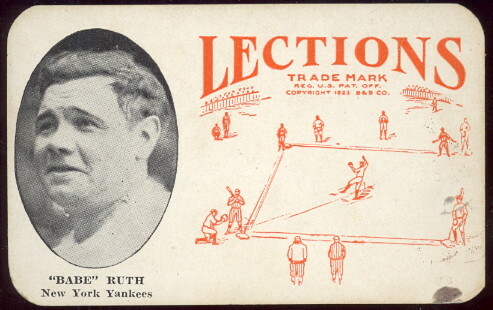 Candidates who were running for office handed out "election" cards with their likeness to adults, and the Lection cards featuring ball players were given to the kids. They were only handed out for three days which is why they are so rare. Less than 75 cards are known to exist making these extremely tough to find. They are so rare that they were not even known to exist until they were re-discovered in 1997. The cards measure 4" X 2-1/2" and are made of thick card board and are blank on the back. 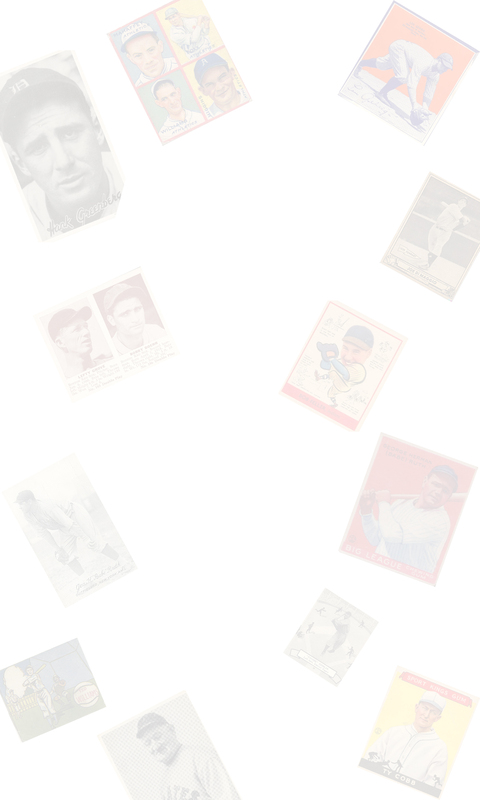 The set includes Babe Ruth, Frank Chance, Rogers Hornsby and Frank Frisch along with six common players. They are typically found in very poor condition, however the ones we are showing are very nice.